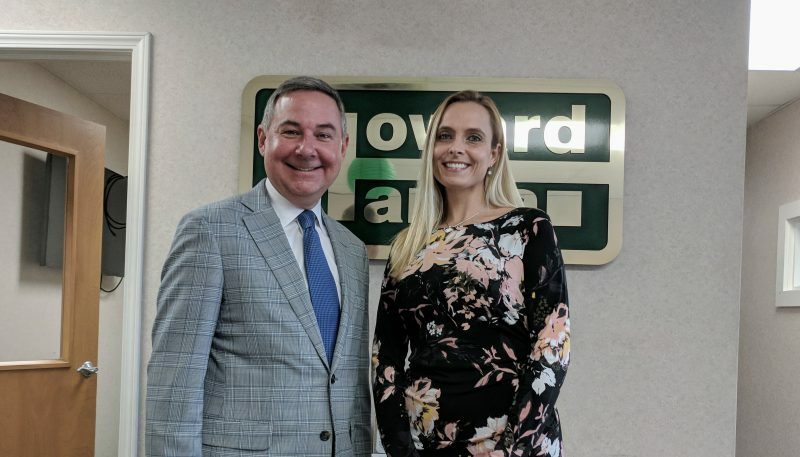 Rochester, New York (March 28, 2018) – In a celebration earlier this week, Howard Hanna Real Estate Services announced that Jennifer Isaac is the new manager for the Ontario, New York office. This office serves Ontario, NY and all surrounding towns in Wayne County. Isaac will be overseeing the more than 20 real estate professionals who currently work out of the Ontario office, with a focus on increasing market share. An Ontario resident, Isaac is a local real estate expert who has been licensed for 20 years. In 2008, she was recognized by the National Association of Realtors as one of “30 Under 30” rising young stars. She is also a founding chair of Rochester’s Young Realtors Network, has served as New York State Association of Realtors (NYSAR) Director, and has been honored with many Howard Hanna awards, including the Howard Hanna Platinum Award. “We are very excited to add Jennifer to our local leadership team. She has spent her career offering her expertise to agents, whether through training or the many local and statewide Realtor association positions she has held. We are confident she will continue to do the same for the Ontario agents,” said Jay Teresi, Howard Hanna Rochester Regional Vice President. Outside of real estate, Isaac is a board member for the Rochester Area Interfaith Hospitality Network, a non-profit that helps local homeless families to attain sustainable independence. For all of your local real estate needs or to join the Howard Hanna Ontario team, Jennifer Isaac can be reached at 315-524-2331 or JenniferIsaac@HowardHanna.com.